Butler, Party of 4: Rain= INSANITY!!! 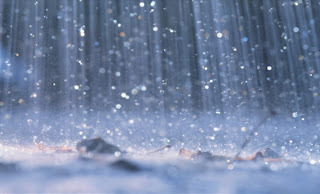 Thank you, Lord, for our major rainfall this morning. So, in lieu of my run (which WILL take place this evening on the treadmill- oh joy! ), I joined the cross country team in the gym for a little INSANITY!!!!! And no, that is NOT from the rain....it's just sweat. Nothing like a good, heart-pounding, make ya wanna quit, SWEATY Mcsweat sweat workout. On another note.... I finally splurged and bought myself a new pair of running shorts. I know onlookers are thankful they don't have to see all my junk-in-the-trunk in soaked trash bag shorts anymore. Can I just say *without sounding all weird** I think you have some awesome legs! haha I agree with Nikki! But I was wondering, have you done P90X? How does that compare to Insanity? I have done P90X... and lost it... and I am looking for something to add to my workouts (my routine is getting boring) and want something a little harder than what I am doing now. well, i have 2 new BFF's!!! my legs are my LEAST favorite physical feature...i do NOT like them. SO, thank you for your kind (NOT AT ALL WEIRD words) that made me oh so happy today!!! :) :) I ALWAYS tell people when they have great legs....mostly in an "I wish I could trade you" kinda way. Also, I just orderd a few Jillian Michaels DVDs, so I'll let ya know how they are working after I try em out.